Time and cost adjustments are only applicable to a particular work entry. 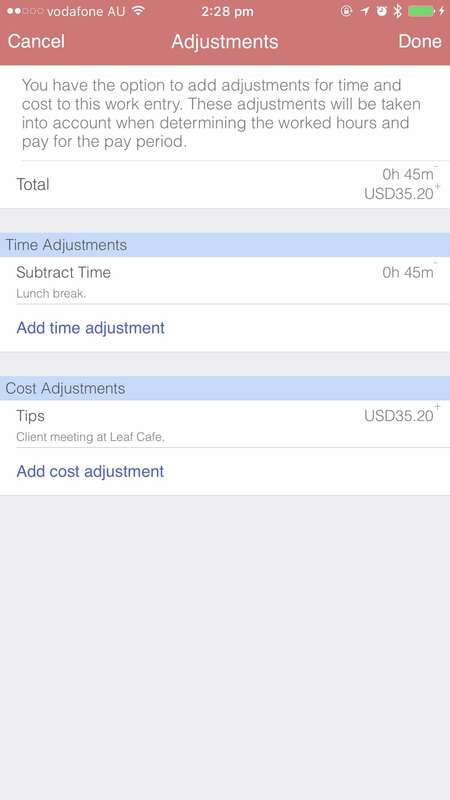 As the word 'adjustment' suggests, they provide a means to alter to the duration and pay calculated for the entry, e.g. lunch breaks, additional costs for supplies, mileage, etc. Please note: Add Break is only applicable if start/stop times are specified, i.e. the work entry is not active. Edit or add a new work entry, then simply tap on 'Total' table cell under 'Adjustments' section. 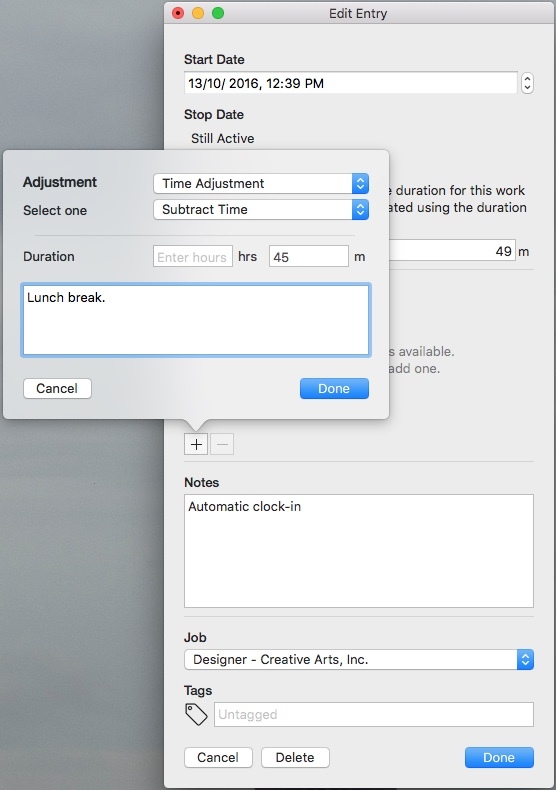 Edit or add a new work entry, then simply tap on '+' under 'Adjustments' section.